What do astronomy, Grace, Greek mythology, and April have in common? 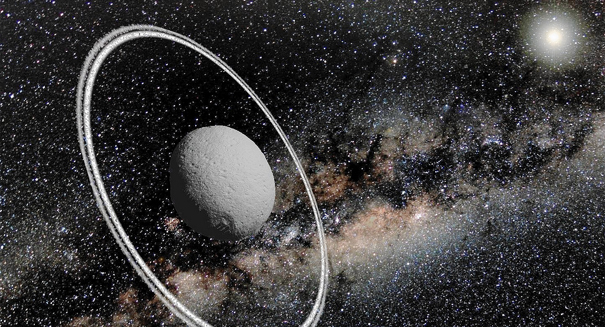 Last week, astronomers shared news of their discovery that Chariklo, an asteroid (or possibly dwarf planet), has rings around it — something thought to occur only in larger planetary bodies, like the planet Saturn. But Chariklo had a few surprises in store for the astronomers, as it turned out. Chariklo is the largest known centaur-category asteroid; Chiron is the second-largest. Both are found between Saturn and Uranus, with Chariklo said to be “grazing the orbit” of Uranus. In mythic-astro and thus Mythic Astrology, such discoveries are said to bring specific archetypal energies into consciousness, where they’d been operating behind the scenes or unconsciously before that. So with Chariklo and her elegant and newly noticed ring system, what’s coming into consciousness? Let’s look to the myths for clues about the archetypal energies coming to attention. In Greek mythology, Chariklo (or Chariclo, in the Latin) and Chiron were married and fostered some of the next generation’s wise healers, guides, and heroes. Chiron is often called the Wounded Healer, a wise, initiated mentor and guide. Chariklo, as with the telestai of old, could be seen as the Feminine complement to Chiron in that ‘great work’. 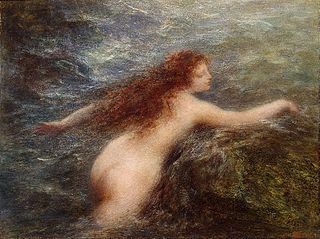 Chariklo is said to have been one of the nymphs or naiads — Water Spirits, or more ancient-still, local Nature goddesses — and at the time of this astronomical discovery on June 3, 2013 was dancing in the midst of a Grand Water Trine. In addition to her relationship with Chiron, Chariklo was said to be a devotee and steadfast companion to the Goddess Athena, and was the mother of the future-visioned shaman-prophet, Tiresius. Chariklo’s name translates to Graceful Spinner; we know that spinning and weaving are powerful ancient metaphors in the weaving of energy and fate or destiny. Think of Grandmother Spider, the Northern European Norns, or the many symbolic references to the Divine as Great Weaver, and you’ll be in the right neighborhood. Add Grace, and you’re even closer. Charis is ‘grace’ or ‘graceful’, and can be found, too, in the word charisma. 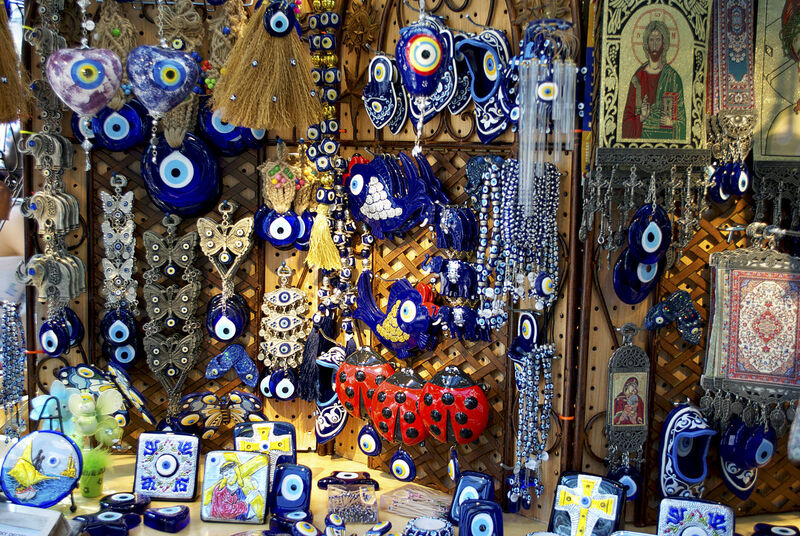 The word and name are also associated with flow or flowing, hence the Water Spirit connection. Chariklo is located between Saturn and Uranus, but closer to Uranus — the Promethean ‘great awakener’ currently making astrological news due to the powerful, multi-year square with Pluto. Powerful, transformative energies both. But Grace, the Graceful Spinner, is right in the mix, and calling for our attention now, with the discovery of Chariklo’s rings and thus more-than-originally-thought power. At the time of the announcement last week, Chariklo in transit was at 26-27 Sagittarius, spot on the astrological Galactic Center. 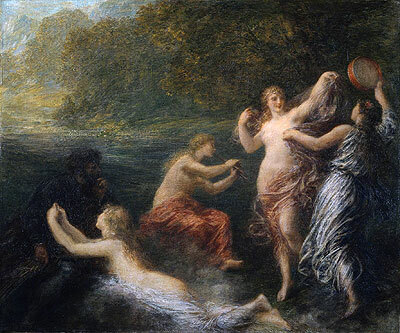 We could say that that Chiron’s Feminine complement, Chariklo — wise woman initiate and mentor, Feminine healing, the healing power of Grace and its children: graciousness, gracefulness; the graceful (rather than heavy-handed) wielding of energy and power — is more powerful than previously thought and is now calling for (graceful) attention and (gracious) intentional embodiment. Given the dynamic, potentially volatile and definitely transformative astro-energetics of these times — it seems unrelenting, indeed — we can easily see the wisdom of a more-powerful-than-expected dose of grace, graciousness, and graceful weaving, yes? 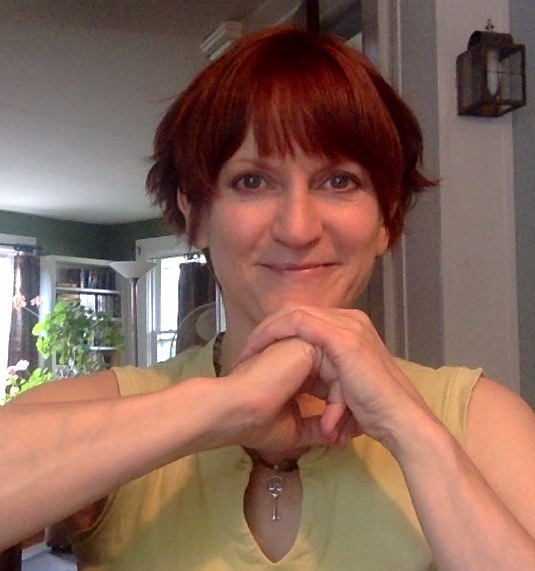 On a fun and perhaps also telling note, too, the astrologer Zane Stein notes that Chariklo is often powerfully located in the charts of horizon-edge scientists and science-fiction writers. Remember, Chariklo gave birth to the future-visioned shaman-prophet Tirisius? I checked the charts for Marie Curie and Ursula Le Guin — scientist and sci-fi writer, respectively — just to do a wee sampling of this theory, and sure enough, Chariklo is powerfully located. Where’s Chariklo beaming her gracious wisdom, healing mojo, flowing grace, and prophetic vision in your blueprint and life? You’ll find her by looking for 10199 Chariklo (asteroid) in your astro-story blueprint (chart). Hi Jamie, do you know of an online Ephemeris that will show Chariklo? Hey there, Julianne. You can include Chariklo on your chart at astro.com’s extended chart option. Chariklo is 10199; you can add the number at the bottom of the chart selections page. (You may already know that; I included it in case it’s helpful for others as well). Yes, I was very excited too, when I found out the news of her rings, in National Geographic! My Chariklo is 28 34 50 in Aquarius 2nd house ( more Aquarius), opposite my Virgo moon in 8th, trine my Cancer Jupiter in 5th house and trine my MC Libra. Very interesting. This info re Chariklo has passed me by up till now, so thanks for the post. In my natal chart she is actually conjunct Chiron at 6 Sag and her current position at 26/27 Sag is on my IC. Much to ponder and investigate here I think. The conjunction of Chiron and Chariklo in my chart is particularly striking for me because throughout my life I have had – and still have thanks to the current Neptune in Pisces square – recurrent and seirous chronic health issues. I sense that my recent discovery (through this post, thank you Jamie) of Chariklo might bring a new element into my search for healing and understanding. It feels significant. The Sabian symbol for 6 Sag is “Cupid knocks at the door of the human heart”. It certainly resonates for me. oh my! More delicious food for thought! Chariklo is at 10° Sag in my natal chart, conj. Ceres & Chiron, at 10° & 15°! 3rd house. Square my natal sun (Virgo) … I nurture through sharing info and ideas …. I also have disseminating moon (18° Taurus) which enhances that desire to share info! Thank you for introducing me to Chariklo! I “met” the asteroid (& Chiron) via Doug B. & Demetra George’s “Asteroid Goddesses,” & later took workshops with Demetra and Vicky Noble.